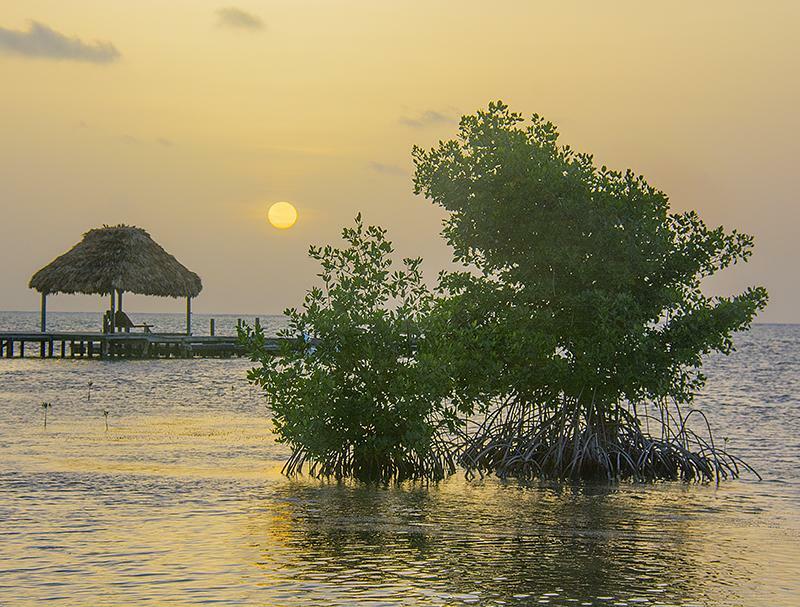 Belize NMS: Improving conditions expected today with mainly fair weather the next couple of days. Today: Winds: E-SE 10-20 kts. ; seas: Choppy- moderate. 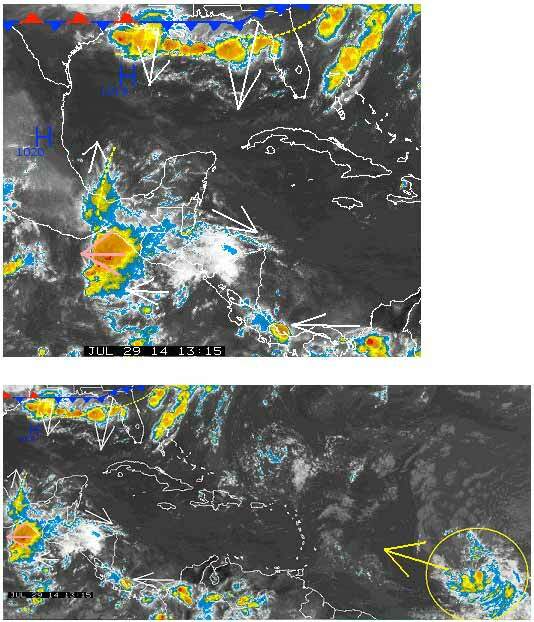 ; waves: 3-6 ft.; isolated showers or thunderstorms. Marine Outlook: Wednesday night:- Winds: East 10-20 kts. ; seas: Choppy - moderate. ; waves: 3-6 ft.; isolated showers or thunderstorms. General Outlook: For Wed. and Wed. night is for mainly fair weather with only isolated showers or thunderstorms. Tropical Weather Outlook: Showers and thunderstorms associated with an areas of disturbed weather about 850mls WSW of the Cape Verde Island has become a little better organized during the past few hours.This systen has a medium chance(50%) of developing within the next 48hrs as it moves westward or west northwestward at 10 to 15mph. Calm and clear on Ambergris Caye this morning. The breeze is from the East at 7mph. Expected high is 88. The Belize Radar is still stuck, but that bubble of Rain has been thinning and breaking up earlier this morning, sun even coming through. So today will probably be sunny. but with significant cloud, possibly a few showers but only few and far between. That Atlantic depression is showing signs of rotation now, but not much to it, so I don't expect it to develop much.